Interstate Pneumatics G2012-300 2 Inch 300 PSI 1/4 Inch NPT Bottom Mount Pressure Gauge. 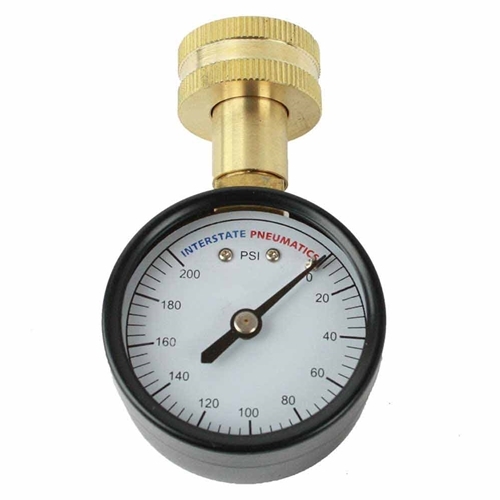 Interstate Pneumatics Pressure Gauges are extremely high quality pressure gauges. Tough construction made to last and has a 2" diameter white face plate for easy reading. 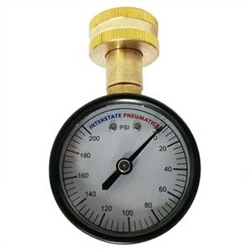 These pressure gauges can be used for air, water, oil or other fluids, compatible with brass and bronze. Pressed steel case with shatterproof polycarbonate clear plastic and brass fitting.